Hark! the Herald Angels Sing in a lyrical duet setting ideal for two intermediates. 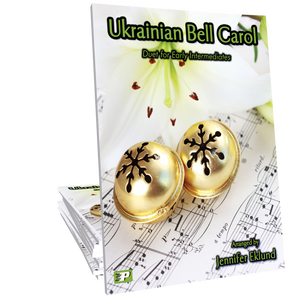 Music arranged by Jennifer Eklund. Correlates to Piano Pronto method books: Movement 3, 4, 5. Really beautiful arrangement of this carol. I had a brother and sister play this for our holiday recital this year. It was a real success for them and enjoyed by their parents and the audience. Really enjoyed this arrangement. Well thought out, and well written. I’m grateful to have holiday songs like this available in ensemble format, and my students are excited to play a Christmas piece with a friend. Last year my daughter and I played “Carol of the Bells” duet for my Christmas recital. 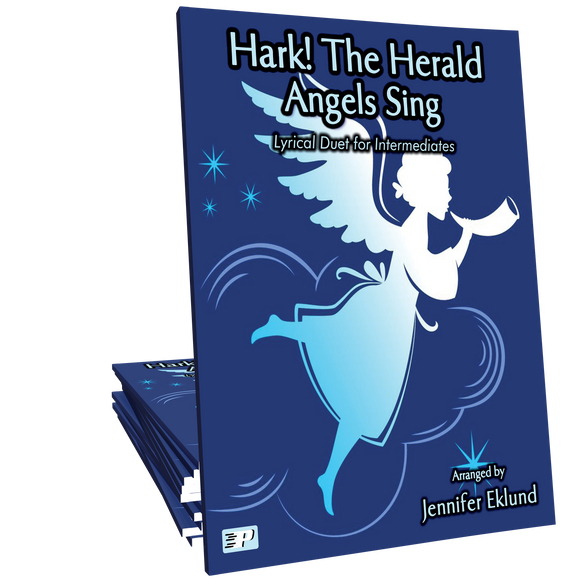 This year I was looking for something equally beautiful and I’ve found it with “Hark the Herald Angels Sing”. The Secondo part is an amazingly captivating part along with the Primo. I know that my studio parents and students are really going to enjoy listening to this duet this year!